With cleaner fuel fast emerging as an order of the day in 2018, a busy year awaits the Indian automobile industry in 2019, a year before the Bharat Stage-VI standards gets implemented, when manufacturers would need to drive extra mile to meet the strict emission norms. The government, which had last year pushed for EVs, changed its stance opting for a technology-agnostic approach as far as clean energy fuel is concerned but a much awaited FAME II scheme didn't see the light of the day. Despite facing slowdown in sales, especially of passenger vehicles, in the second half of the ongoing fiscal, automakers did not take their eyes off the BS-VI deadline. Speaking specifically for his company, Bhargava said, "As far as MSI is concerned, new product launches next fiscal year are all likely to be BS-VI (compliant)." He also said that by December 2019, the company would stop manufacturing of majority of its BS-IV models to prepare for transition to BS-VI. On concerns whether the changes would hurt sales during the transition period, Bhargava said there would not be any impact on the company's sales. "Sales of small diesel cars will go down substantially with the coming of BS VI emission norms. Customers will shift from diesel cars to small petrol cars in such cases and therefore it should not impact overall sales significantly either way. So BS-VI itself should not have any major impact on sales next year," he said. Tata Motors, which is a leading player in commercial vehicles (CV) segment, said it is well on track for transition of its vehicles to BS-VI norms. "We have assigned resources for it. We are left with no room after the Supreme Court ruling," Tata Motors MD & CEO Guenter Butschek said. The Society of Indian Automobile Manufacturers (SIAM) Deputy Director General Sugato Sen hope the auto industry moving to BS-VI from April 2020 and several other regulatory compliance issues will have to be fulfilled in the next one year. "It (industry) has met and overcome all challenges in the past and will do so in future also," he noted. 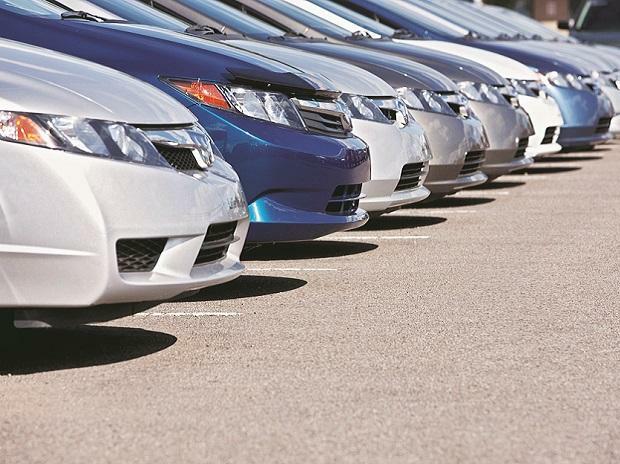 Grant Thornton India LLP Partner Saket Mehra said manufacturers need to calibrate existing systems for a stricter control on emissions with introduction of BS-VI compliant vehicles from April 2020. "The much spin-off in investments will implicate fewer launches by OEMs and also production and technology alignment by component manufacturers," he added. Transport Minister Nitin Gadkari, who had last year threatened to "bulldoze" the auto industry to adopt electric vehicles, has also pitched for alternative fuels such as ethanol and methanol along with electric vehicles. "Indian government policies are not clear at the moment. We don't know the future policy but seeing the global market circumstances, there is a big direction (towards EVs)," Kia Motors India CEO & Managing Director Kookhyun Shim said. On 2018 sales, Sen of SIAM said it was a year of mixed trend. Commercial vehicles, three-wheelers and two-wheelers enjoyed double-digit growth at 32 per cent, 25 per cent and 11 per cent respectively but passenger vehicles faced a moderate growth of 5 per cent during April-November. However, industry players are optimistic that passenger vehicle sales will revive next year with enhanced demand due to general elections and expect customers to lap up new product launches. "We have done an analysis of past numbers and the conclusion is that in the last two pre-election year sales always fall and in the election year the sales go up substantially," said Bhargava of Maruti Suzuki, which has over 50 per cent share in the domestic PV market. Besides, Tata Motors' Harrier, Mahindra's compact SUV XUV300, Kia's compact SUV SP Concept and Nissan Kicks are set to generate consumer interest in 2019. "As we have an election next year, the Union Budget is also expected to have measures to ensure fund flows in the hand of people which should help with additional demand generation," Sen said. Toyota Kirloskar Motor Deputy Managing Director N Raja said, "In the year 2019, passenger car market is estimated to have a growth of 7-8 per cent in accordance with the economy growth.